The term “Crispy Ear” has been used to describe crispy brown edges on the tips of an opossum’s ear(s). The crispy looking brown edges can indicate a number of different problems and should be evaluated by a veterinarian. Do not assume because the opossum has crispy looking brown edges on the tips of its ears that it must have “Crispy Ear”. The crispy edges can indicate frostbite, a local, topical bacterial infection or a fungal infection. “Crispy Ear”, also known as Dermal Septic Necrosis (DSN), is a name given to a serious, life-threatening systemic infection. Thus DSN is tissue death resulting from a systemic infection. Bacteria can enter the body a number of ways. A broken tooth with pulp chamber exposed is a common mode of bacterial entry. The bacterial infection can spread throughout the opossum’s system and lead to necrosis of the tip of the ear, digits and tail. This is a serious infection that usually makes itself known by a brown crispy look to the ear tips or digits. The opossum will usually lose progressively larger portions of its ear tips, tail tip and even the digits. The tail tip may appear bloody red at first and then turn black as it dies off while a progressively larger section becomes affected running from the tip of the tail towards the base. If left untreated, organ damage and death may occur. “Crispy Ear” is not the best name for such a disease because the crispy, crust brown tipped ear edges do not always mean the opossum has “Crispy Ear” and it also does not affect just the ears. Not all opossums with crispy brown-tipped ears have “Crispy Ear”. Do not place the opossum on systemic antibiotics if they are not needed. Please consult a veterinarian for a proper diagnosis. The crusty ear tips could also be due to frostbite or a local, topical ear infection (either bacterial or fungal). A correct diagnosis must be made in order to develop the proper treatment plan. A piece of the ear can be clipped and cultured for a fungal exam.Local bacterial and fungal infections can be treated topically with an anti-bacterial or anti-fungal cream, respectively. If “Crispy Ear” is suspected then bloodwork can be performed by your veterinarian to check for a systemic infection and possibly a culture and sensitivity test to determine the type of bacteria in the blood stream and the best antibiotic choices for that particular type(s) of bacteria. Bacteria should not be found in blood in a normal animal. If bacteria is found then the animal is septic and needs immediate attention. See the Opossum Normals Sheet for normal opossum blood values. An animal with true “Crispy Ear” usually, but not always, displays other signs such as a decreased appetite, changes in urination and defecation patterns, and changes in behavior and attitude. If the opossum has true “Crispy Ear” then it should be treated aggressively with antibiotics. Treatment often involves amoxicillin, Baytril or other antibiotics used in combination. 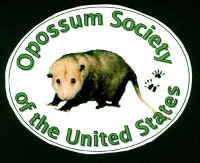 The opossum should be monitored closely. If no improvement is observed within the first 2-3 days then the veterinarian may consider different antibiotics.